Trademark registrations are one of the easiest and cheapest ways to protect a business. Today we delve into the basics of this area of law. 01:28 Why the need to talk about trademarks? 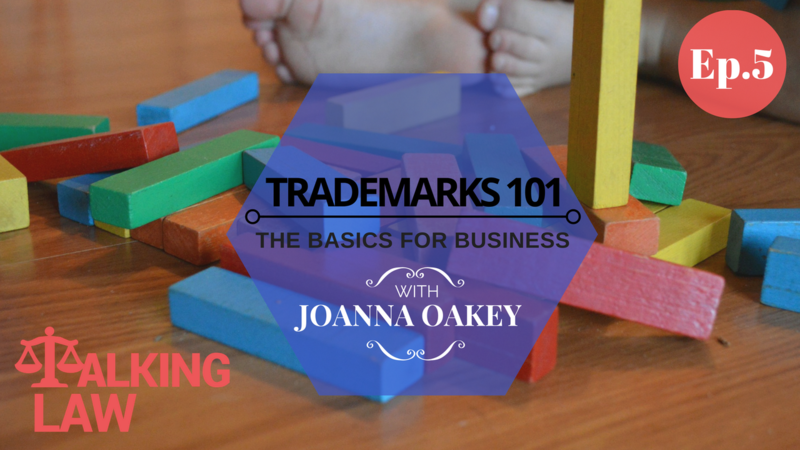 05:21 Back to the basics – What are trademarks? 08:18 What happens if you don’t get protection? Hi all, welcome back to Talking Law. Today, we’re going to talk about the thorny area of trademarks. What if you don’t get protection? In future episodes, we’ll be talking about trademarks in a bit more detail. In the future episodes we’ll be getting into the nitty-gritty of the application process for people who are interested in those aspects and then in other episodes we’ll be talking about trademarks and the relevance of trademarks for International expansion. We’ll be talking about commercialisation of trademarks – so essentially that means making money from your brand – and other more advanced components of trademarks and brand protection. Why the Need to Talk About Trademarks? But today, it’s all about the basics. Let’s kick it off with why we’re talking about trademarks today? We’re talking about trademarks because trademarks are an area of real and tangible risks for organisations. It’s an area where you can get a big return on your spend, and it’s one of those areas where finding a solution once a problem has emerged is a lot more expensive for business owners than it is if the intellectual property – your brand – is protected early on in the lifecycle of the business and in the use of the brand name. Looking at dealing internationally, for example, expanding internationally. So, what are the risks that trademarks are helping to protect? We’re going to do a quick overview of this first just so that you understand the risks that we’re trying to protect here and then we’ll get into a bit more detail about what trademarks are, etc. The first risk is that you’ve used the mark for a while in your business and then suddenly find out that someone else has used that mark longer than you. They’ve used a name like your business or company name, or brand name but they’ve used it in the market longer than you and you had not realised. Your risk here is that you’re exposed to an infringement action for the people who have the better right to your mark than you do. It’s important to understand here that damages aren’t just the usual sorts of damage which might be the loss of profit for the person who has the mark, but can also be something that’s called unaccounted profits. Essentially that means the profits that you have received while using the mark. So we’re talking here about worst case scenario if someone sues you. But, it’s important that you bear in mind this risk as you’re moving forward because whilst it’s less likely that someone will take you to court, it’s certainly highly likely if someone has a better right to a mark than you do and they discover you, you’ll be going to receive a cease and desist letter that essentially says that you need to stop using that mark. What are the actions they might need to take at that point. And we’ve certainly seen many instances of businesses who’ve had to consider these sorts of issues, not just in the first years of their business but when they’re ten, fifteen, twenty years into their business, and as I talk about later on in this episode, we’ve even seen an example of someone who’s forty years into the business, who’s been made to think about some of the issues that relate to trademarks simply because they haven’t gotten in full trademark registration first before their competitors. So trademarks can be a good defence or protection against this sort of risk of someone else accusing you of using their mark. 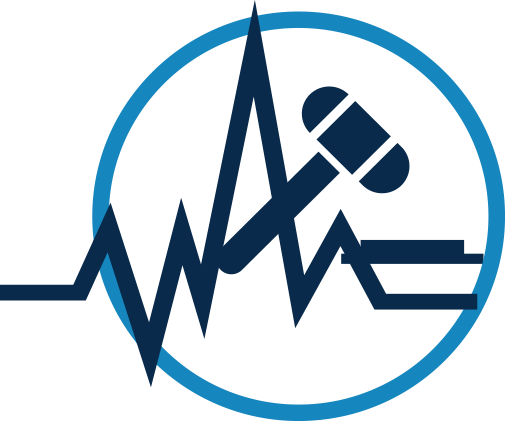 The other risk that trademark registrations help you to protect against is the risk of other traders using a mark that’s too similar to your mark. Now, trademarks are a first-in, best-dressed type of situation. It’s really hard to get a trademark off someone once they’ve already gotten it. It’s just really important for you to realise that if you’ve got a brand that’s important to you, you need to get in and register it before someone else registers that mark. So, let’s first then go back to basics. What are trademarks? Most business owners just don’t understand this area. They don’t understand the risk and they don’t understand how they can protect themselves. So, that’s what I want to bring to you today and I’m also talking about it so I can bust a few myths that I see out there that annoy me a bit. Okay, so what are trademarks? Let’s just start right at the beginning. A trademark is a mark that’s used to distinguish a business or product from those of their competitors. That might be a word, it might be a business name or a company name or a product name, or it might be a logo. It can even be a sound, a colour, or a scent. There’s lots of things that might form a trademark, but the most common ones are words and logos. You can have two different types of trademarks, you can have a common law trademark or a registered trademark. A common law trademark is a type of protection that you potentially get from using a mark but it can be very hard to establish, whereas a registered trademark is a national registration of that mark in a way that is searchable publicly. So, who are trademark registration’s applicable to? They are particularly applicable to any business or person where brand is important either now or in the future; even if brand isn’t important, or isn’t going to be important it’s still important to understand this area so that you understand the risks of potentially infringing someone else’s trademark or other intellectual property. Equally, it’s important to have a hold on this area when you’re growing, or if you’re planning on future growth in your businesss, and it’s particularly applicable if you’re ever planning to sell your business in the future. Trademark protection in Australia is a national registration and it’s jurisdiction by jurisdiction, so you choose which jurisdiction’s you want to be protected in. In Australia, that will be Australia but if you serve international clients or customer bases, then other jurisdictions may be relevant to you as well.that will be Australia but if you serve international clients or customer bases, then other jurisdictions may be relevant to you as well. It’s really important to remember that business and company name registration is absolutely not the same as a trademark. This is a myth that I have heard time and time again. Just because you have a business name registration or a company name registration, this does not mean that you have protection or registration for the trademark as a whole. The trademark registration process in Australia happens in a completely different way to the business and the company name registration process. It’s a process that you have to apply for. You can apply for it yourself or you can go through a professional. The application process takes a minimum of seven months, but it can sometimes take a lot longer if there’s problems in the application process. Now, I want to talk about what if you don’t get protection? We’ve seen new cases each week in our business, of businesses that have caused themselves massive costs by one of usually two things: Either, firstly, not getting trademark registration done early enough, so leaving it too late and therefore creating problems for themselves because of other trademarks that have gotten in first, or, secondly, having a weak trademark registration. As I talked about before, there’s lots of elements that you need to think about when you register a trademark and those can include (trying not to repeat myself) but the classes that you choose to register in, or the wording that you’re using as protection for your mark. Now, we see many weak trademark registrations which essentially means that although you have a trademark registration you may not be able to use it in the way that you intended. I think the important thing for businesses to understand with the whole trademark registration area is that not all trademarks are created equally, and so it’s really important not just to get the protection in as quickly as possible but to also make sure you’ve got the right protection so it’s actually providing you with the protection that you need in the future when you need it. 2. It also meant that our client couldn’t stop those traders using the similar name unless they are willing to spend hundreds of thousands of dollars in a Federal Court action. For them that was a massive issue in not getting on top of trademark registration early enough and as they said to me they just haven’t understood for all of this time, that being for forty years, that business name registration and company name registration was not the same thing as trademark registration, and I just thought it was so sad that such a simple mistake cost them so much in their business. So, the most vulnerable time for businesses in relation to infringement actions and making mistakes in relation to trademark registration, is when businesses are setting up in the first instance, or picking a new name, or picking a new brand name, and issues that I see often are that they’ll pick a new name that can’t ever be protected or, secondly, they’ll pick a name that infringes someone else’s trademark rights. This is usually because, in this process of developing a new brand, they’re thinking through the naming process in isolation from the concept of trademarks in and of themselves. They fail to search to see whether or not names they’re coming up with might infringe other trademarks that are registered, or they’re just not thinking about how to come up with a name that is inherently protectable into the future. Issues that I see in relation to established companies who haven’t got trademark registrations is obviously the example I gave you of the business that had, for forty years, forgotten about trademark registration. Other issues are of course competitors using similar marks to your business and you not being able to do anything about it because you haven’t got a trademark registration, or competitors using marks and Google Adwords or meta data or light registration causing problems. Trademark registration is also often important for various government grants. So, it can really be something that provides value for your business. Trademark registration can be very cheap if done early. In fact, I call it one of the cheapest insurance for businesses around, and finally, trademark registration can help to establish solid value if you ever want to sell the business. So, then what are the action steps for you to take away from today’s discussion? The first thing is that you should be thinking about trademark protection as early as possible. Firstly, you should be making sure that you aren’t infringing any other brands and secondly, you should ensure that you have a brand that’s capable of protection and finally, remember the first come, first served process of trademark registration in Australia. So, essentially act quickly because there can be big problems if the competitor gets in first! The other thing to remember is that not all trademark registrations are the same. We see lots of issues with fully prepared trademark protections. At the end of the day trademarks are complex: protection is only as good as the quality of the registration and unfortunately, you’ll only understand the quality of the trademark registration when you try to use it, which is often too late in the process so just make sure you’re getting the right protection at the right time when you’re applying for your trademark.trademark registration when you try to use it, which is often too late in the process so just make sure you’re getting the right protection at the right time when you’re applying for your trademark.unfortunately, you’ll only understand the quality of the trademark registration when you try to use it, which is often too late in the process so just make sure you’re getting the right protection at the right time when you’re applying for your trademark.understand the quality of the trademark registration when you try to use it, which is often too late in the process so just make sure you’re getting the right protection at the right time when you’re applying for your trademark. Alright, so what are the action steps that you can take now to protect your brand or to work out if your brand is protected or needs to be protected? We’ve got two downloads that you can grab from our show notes. Our show notes are over at talkinglaw.com.au and you’ll find it under this podcast episode which is ‘Trademarks: The Basics.’ Then we have a cheat sheet which is a simple diagram of the trademark process which talks you through the whole trademark process, if you’re interested in seeing how the process works, and then the second download is a guideline on how to work out if your trademark is able to be protected. So what are the action steps for you? 1. Work out what brands in your business are important now, or may be in the future so that’s our first: a brand check for you. 2. Check if you have protected these brands, and when I talk about brands I might be talking about your company names, your business names and any particular product or service lines that you’re operating under a brand name. 3. If these brand aren’t protected do a quick assessment for yourself to see if they’re capable of protection and you can do that using the guideline that I said you can download from the show notes. 4. Protect them, protect them through registration in jurisdictions that are relevant to you. We gave those action steps and the cheat sheets and guidelines that you can download from the show notes at talkinglaw.com.au. If you would like more information about this topic you can also get more information through our website at ‘Talking Law’ or at www.aspectlegal.com.au. Through that website you’ll also be able to download a transcript of this podcast episode if you’d like to read it in more detail, and you’ll also find details of how to contact our lawyers at aspect legal if you would like to have any sort of assistance with your trademark registration, if you’ve got issues with competitors that are using a similar name to yours and you want to do something about it, or if you’ve just got some questions that you’d like to run past our lawyers. Finally, if you enjoyed what you heard today, please pop over to iTunes and leave us a review. We will be most grateful. Thanks again for listening in. See you next time, bye!